Posted on August 26, 2015 by Sarah S.
You’ve probably heard that it’s #NationalDogDay. And, trust, me I love dogs. But did you know it’s also Women’s Equality Day? 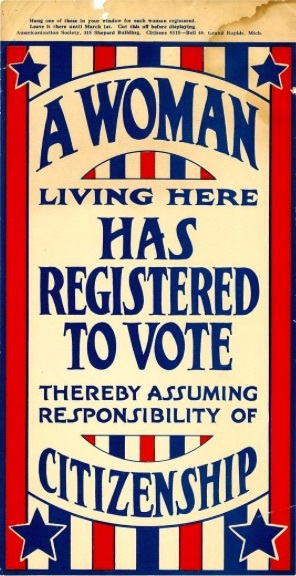 That’s because on August 26th, 1920 American women earned the right to vote. If I wasn’t mentally exhausted from (my first business school!) mid-terms, I’d have a lot more to say about the value of Women’s Equality Day. But, I’ll just let this infographic do the talking. And take a look at the president’s proclamation about this important day if you’re itching for more.